Illinois Valley Blacksmith Association (IVBA) is a not-for-profit organization chartered with the State of Illinois and is dedicated to promoting and expanding the horizons of architectural, artistic and practical blacksmithing, while preserving the past heritage of this craft and art form. Founded in 1976 by 21 blacksmithing enthusiasts, we became affiliated with ABANA* soon after that. We have steadily grown since our inception into a leading Midwest association of over 400 members. 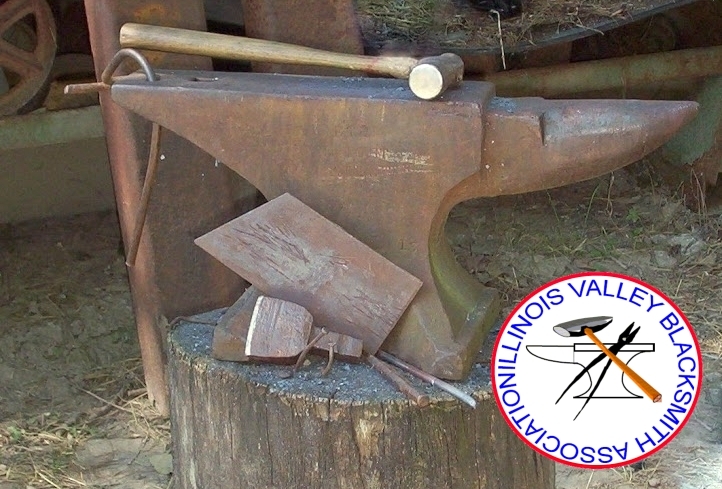 The Illinois Valley Blacksmith Association’s mission is to help people realize their dreams and aspirations of constructive and creative metalworking through participation in our many blacksmith demonstrations, education and training programs, and by capitalizing on and sharing in the vast and varied experiences of our membership and by utilizing our library and video resources for blacksmiths. We are blacksmith enthusiasts, artists, crafts persons, hobbyists, and professionals who bring diverse talents and experiences to our craft and work to share them with one another. Our success is built on a foundation of shared knowledge and experiences, the transfer of knowledge and skills through teaching, training, and the preservation of the traditions of our craft as an art form. Our vision for the future is to continue our leadership role and continue to expand our membership by welcoming artist-blacksmiths, hobbyist blacksmiths, professional blacksmiths, industrial blacksmiths, designers, architects, metalworkers, silversmiths, welders machinists, metal smiths, knife makers, gunsmiths, farriers, enthusiasts, and those who are simply interested in metalworking from other disciplines to our ranks. We also want to continue our education and training efforts, and to expand our own horizons by broadening public awareness of our artists and art form.